To clean a mouth, you don’t need to be a dentist or a dental hygienist. In fact, this program was developed for all caregivers, including nursing assistants, home health aides and family members. 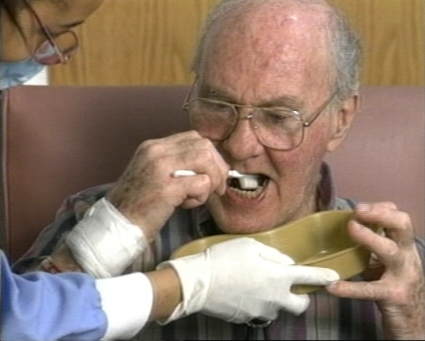 Demonstrations show how to brush another person’s teeth and how to clean dentures.